Since its launch in 2014, Fortunejack has continued to develop particularly in the area of live dealer games. This online casino that is very popular with bitcoin users has succeeded in diversifying its games by acquiring the best software. This goes for its live tables as well as its range of slot machines. Now, Fortunejack with its 6 types of software can consider itself a leader among live tables accepting bitcoin. Live Dealers Casino tells you more about Fortunejack, an unmissable casino for cryptomoney users. There’s no secret to how to make a name for oneself in the e-gaming industry, games are the heart of casinos. There are of course other criteria besides games such as the quality of the customer service, payout speeds and for some, the bonuses on offer. Fortunejack has a complete range of live tables. It has the current leading software from Authentic Gaming, Evolution Gaming and Ezugi. It’s important to note that not many casinos have Authentic Gaming software and in particular in the bitcoin sector. Fortunejack made a good choice by providing roulette fans with Authentic Gaming tables. The same is true for Evolution Gaming and Ezugi who are also well known not ony for their roulette tables but also for live baccarat and blackjack. The other software is from Betgames, Xpro Gaming and Netent Live. These live games are of a high quality and meet the requirements of those who like playing on these platforms. Fortunejack offers a hundred live tables running on 6 types of software. This explains why it’s way ahead of its competitors. There are solid reasons why roulette, baccarat and blackjack fans come to sit at one of Fortunejack’s many live tables. One can’t remain indifferent when one sees the range of Authentic Gaming roulette tables streamed from land based casinos. 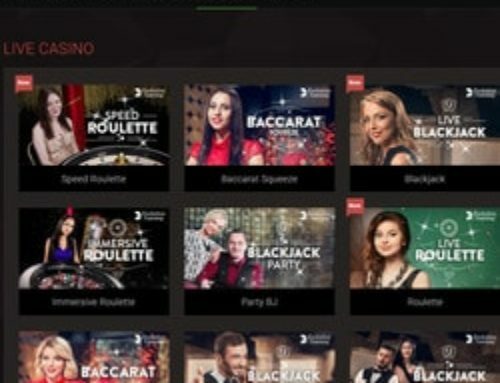 You can play Blaze Roulette, this developer’s latest roulette table direct from Live Arena, its Maltese studio. Blaze Roulette is also available in Fortunejack just like this developer’s other ten roulette tables. You’ll also find all the tables that have made Evolution Gaming famous, including Baccarat Squeeze, Speed Baccarat, Immersive Roulette and Blackjack Party just to name a few. Beginner and experienced players will find a good choice of tables and a complete range of slot machines. Fortunejack is a leading casino for cryptomoney users such as Bitcoin, Litecoin, Dogecoin, Ethereum, Bitcoin Cash, Monero and Zcash. If you’re a table or cardgame fan (or slot machine) and you have cryptomoney wallets, Fortunejack is the ideal place to play onine.